From the very birth of the mass anarchist workers’ movements in the late 19th century this has been a schism with false foundations. Many of the first anarchist inspired workers’ organisations in Spain that eventually inspired organisations like the FORA in Argentina adopted an anarchist communist program, but saw the need to agitate in general throughout the workers’ movement and win over workers’ early resistance societies to free communism. Before the writing of the Platform the International Workers’ Association formed on the basis of a revolutionary syndicalist and free communist program. Later on the CNT famously adopted libertarian communism as the historical mission of their revolutionary syndicalist union movement. Despite minor semantic quibbles it is clear that the revolutionary syndicalist movement and free socialist aims of what has been interchangeably labelled anarchist communism to libertarian socialism is not in contradiction. Through struggle the aims and methods of anarchism and syndicalism as a mass movement became complementary to one another, two sides of the same coin. For mass anarchists today the argument that syndicalism only represents one of the methods of the class struggle to be used is laughable. Which revolutionary class struggle anarchist pro-organisational currents today uphold insurrectionist voluntarist putschism or alternativist communalism? None, individuals maybe, but such strains have long been superseded as credible alternatives by serious mass anarchists. As a contending force there are no Galleanists or Proudhonists in the ranks of such organisations. At least I do not see any from my vantage point. This leaves the mass self-organisation and management of struggle, syndicalist methods, as the strategy of most serious anarchists seeking a revolutionary transformation to libertarian communism. Contrary to what many might say the Platformists clearly called for anarchists to partake in the revolutionary syndicalist movement. They stay away from debates like “building the new world in the shell of the old” or if society should be organised via workers’ councils and committees, but they make perfectly clear their position that anarchists should not just relate like Monattists, as if being individuals and propagandists within the syndicalist movement was enough, but that anarchists should be an actual anarchising force within the workers’ movement. Not if participation is needed, but how and towards what ends. The platform does not merely call to build the syndicalist and workers’ movement with apolitical aims but to win it over to anarchism. In fact Nestor Makhno and the authors of the Platform praise anarcho-syndicalism for attempting to anarchize the workers’ movement, and criticize it for not trying to go far enough by uniting the worker’s unionism with the efforts of anarchists in community struggles around similar lines. As we see here the Platformists actually praise the anarcho-syndicalist movement as a significant step forward in introducing libertarian ideas into the syndicalist movement by creating anarchist unions. 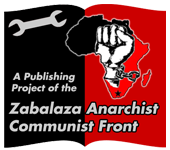 As mentioned earlier their critique is that this anarchisation of the union movement should be united with the social movements outside the sphere of workplace struggles, into a unitary struggle, via a general organisation of anarchist workers. Much contemporary anarcho-syndicalist theory has accounted for this deficiency. Syndicalist methods later were applied to struggles of tenants by the CNT and today around struggles for free education via student unionism. Modern day solidarity networks are a unique mix of community and workers’ syndicalism. Contemporary neo-platformists would do themselves a favour to re-read the above paragraph. Many today call for anarchists to simply build the unions or social movements. That such organisations and movements should be left to have a non-political character. This overlooks the historical context that much of this theory was developed where there truly existed grassroots worker led non-party labour unions and social movements, that could be anarchised via a practice of social insertion. Makhno and the Platformists give grave warning that such organisations and movements will never be an abstract political vacuum and that anarchists should struggle for their ideas and methods of struggle to become adopted, otherwise statist political trends will win such groups over, instead of them becoming spaces for a mass anarchist movement. The last three paragraphs of this section of the platform clearly aim towards the creation of such a unitary mass anarchist workers’ organisation uniting the struggle in the companies, factories and workshops with that in the community as now historically accounted for within anarcho-syndicalist/ mass anarchist theory. It also takes the clearly obvious pluralist strategic position that had existed since the early stages of the anarchist workers’ movement to both work towards anarchist unions, as well as working within all trade unions whether the IWW, or more limited trade unions for the spread of anarchist influence and adoption of anarchist goals and methods. Furthermore it should be clear today that we need to foster not just organisations for the battle of ideas, propaganda groups, but revolutionary social organisations (general and unitary), promoting syndicalist means tied to anarchist aims. We should strive to unite, tie together, and move coherently towards bridging workers’ and community struggles making clear our social revolutionary goals.